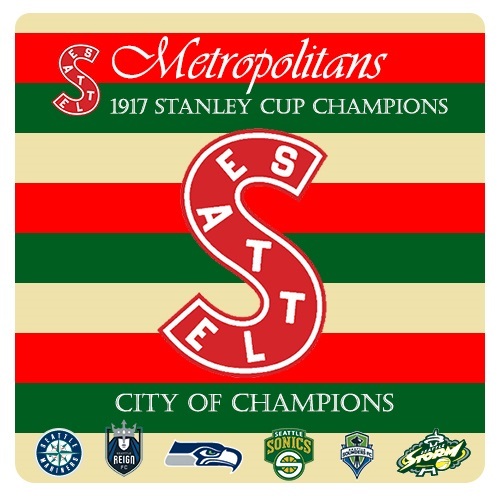 Sunday, March 26, marks the 100th anniversary of the Seattle Metropolitans winning the city’s first major sports championship, when they defeated the Montreal Canadiens to become the first American team to win the Stanley Cup. The team is long gone and the spot where the arena sat is now home of IBM in Seattle, but that’s not keeping hockey fans from celebrating this momentous event. 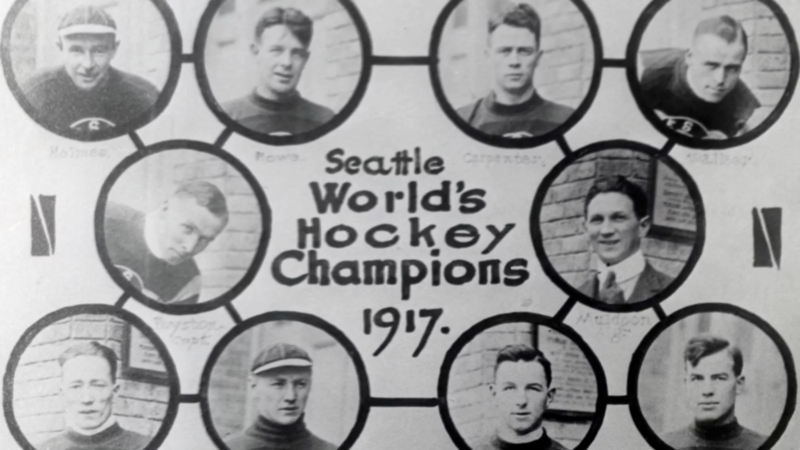 Phil Pritchard from the Hockey Hall of Fame (better known as Keeper of the Stanley Cup), is bringing Seattle Metropolitans artifacts from the Hockey Hall to display at a number of locations over the weekend and early next week. Here’s the schedule. Maybe I’ll see you at the T-Birds game tomorrow night, or the Angry Beaver on Sunday night!